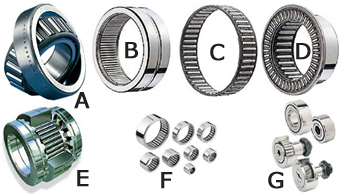 Pyc bearing is a specialized manufacturer of various miniature needle bearings,miniature needle bearing,small needle bearings. PYC offer a wide range of miniature needle bearings. From those that are so small that a microscope is required for processing them to so big that you can stand in them. They can weigh from a few grams to many tons.